Dr. Ramatsemela Masango has an illustrious career of over 20 years within the nuclear industry. She has a PhD in Nuclear Engineering from the Pennsylvania State University, a Master of Science in Nuclear Engineering and a B.Tech in Chemical Engineering from the Cape Peninsula University. 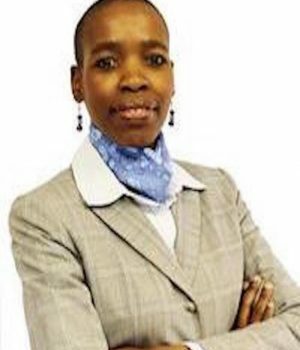 She is currently the Executive Director and Group Chief Technology Officer of Mzesi Holdings, and has previously worked as a Group Executive Compliance at Necsa Group from 2010 to 2013. Her experience within the Nuclear industry includes being the Deputy General Manager: Nuclear Compliance Assurance at PBMR (Pty) Ltd, and a Senior Manager: Multi-Product Nuclear Safety Assurance and Licensing at PBMR (Pty) Ltd.
Dr Ramatsemela’s board experience includes the CSIR Board, CPUT Chemical Engineering Advisory Board, Ariogenix (Pty) Ltd, and Mzesi Energy (Pty) Ltd.